Anthony Lopez, is a Risk Management consultant with over 15 years of experience in the private and corporate security with subject matter expertise in risk analysis, executive protection, threat assessments, contingency planning and critical response, IT security intelligence in high-risk markets, investiga- tions, private security force training / IT Security and Forensic consulting, Anthony Lopez has over 15 years of cross training in various Defensive Tactics / Martial Arts (combat not sport oriented) in Aikido, Aikijutsu, Ka- rate, Kung Fu, Western Knife Fighting, Jeet Kune Do, Western Boxing, Tan- tojutsu, Jujitsu, Krav Maga, Commando Krav Maga, Kali, and a handful of other fighting systems. 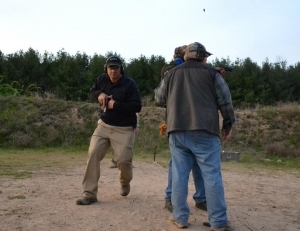 As a law enforcement and private security firearms and defensive tactics instructor, he has applied extensive practical experience and background in martial arts and defensive tactics training, firearms training in addressing the realities of the urban environment. 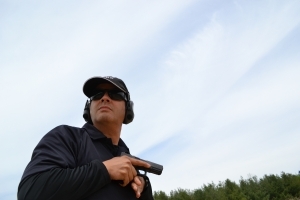 He is also a member of International Law Enforcement Educators and Trainers Association (ILEETA).